Samos (Greek: Σάμος) is a Greek island in the eastern Aegean Sea, south of Chios, north of Patmos and the Dodecanese, and off the coast of Asia Minor, from which it is separated by the 1.6-kilometre (1.0 mi)-wide Mycale Strait. It is also a separate regional unit of the North Aegean region, and the only municipality of the regional unit. 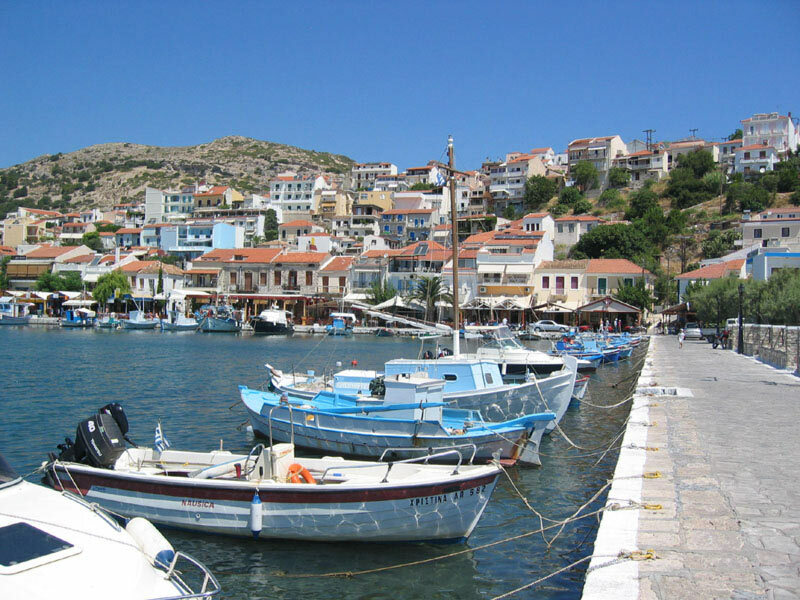 In ancient times Samos was a particularly rich and powerful city-state. It is home to Pythagoreion and the Heraion of Samos, a UNESCO World Heritage Site that includes the Eupalinian aqueduct, a marvel of ancient engineering. Samos is the birthplace of the Greek philosopher and mathematician Pythagoras (in the figure, the Monument of Pythagoras of Samos at the Yacht Harbor in Pythagorion Samos) after whom the Pythagorean theorem is named, the philosopher Epicurus, and the astronomer Aristarchus of Samos, the first known individual to propose that the Earth revolves around the sun. Samian wine was well known in antiquity, and is still produced on the island. The island was governed by the semi-autonomous Principality of Samos under Ottoman suzerainty from 1835 until it joined Greece in 1912 (from Wikipedia). Today, Samos is regarded as one of the most beautiful Hellenic islands. An island which lives its traditions, and this can be felt in every step one takes there and in every meeting with the courteous and hard - working people of the island who they still follow the steps of their great ancestors (from Greek Islands). Ruins at Heraion of Samos.